We LOVE LOVE LOVE this home!!! 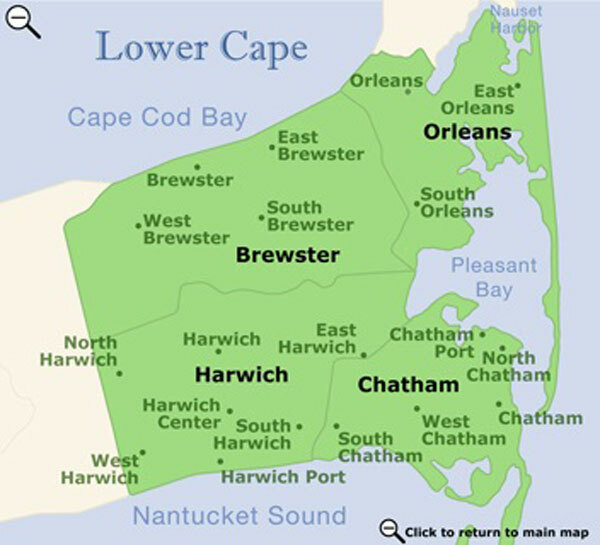 The Lower Cape includes the towns of Harwich, Brewster, Chatham, and Orleans. Vacationers love the gentle waves and temperate waters of the Nantucket Sound beaches of Harwich and Chatham. 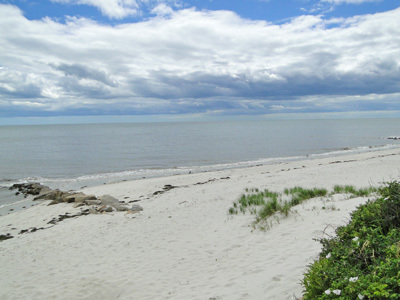 Brewster offers the gentle waves and temperate waters of Cape Cod Bay. At low tide, the shallow tidal pools are great for children and for clamming. And visitors to Orleans enjoy the glorious, nearly 10-mile long stretch of Nauset Beach, the southernmost section of the National Seashore, which stretches from Chatham to Provincetown and is noted for its cold water, surf, and spectacular wide, sandy beaches. Harwich is a unique cluster of seven villages and is noted for its beautiful harbors. Harwich offers historic homes, beautiful sandy beaches, golf, fabulous dining and great family recreation. The town is known for its many cranberry salt bogs, which produce commercially farmed cranberries. Harwich also contains the largest lake on the Cape, called Long Pond, which serves as a private airport for seaplanes. Brewster is an historic sea captains town located on the bay side of Cape Cod. Established in 1803, the town encompasses approximately 23 square miles, including over 325 acres of beach and marshlands, with 24 ponds larger than 10 acres in size. Thousands of daffodils line the streets in the spring. Warm water bay beaches and cool ponds highlight the summer. And beautiful days enhance Brewster's carefully maintained historic ambiance in the fall. Chatham’s first visitor was Samuel de Champlain in 1606, the first European known to have explored the area. Chatham’s early prospects were not promising. The first 100 years of recorded history reveal a struggle to establish an economy and a stable population. Despite precarious beginnings, Chatham has developed over the years into a highly desirable place to live in or visit. Today its small-town qualities are well suited for families and retired residents. A spectacular coastline and out-of-the-way location have kept generations of summer residents coming back each year. With its old Cape Cod quaintness, vast pristine beaches, and surrounding ocean, Chatham has great appeal. Visit the famous fish pier to purchase fish and lobsters right off the boat! Orleans is known as the “gateway to the Outer Cape.” Located between spectacular Nauset Beach on the Atlantic and tranquil Skaket Beach on Cape Cod Bay, Orleans offers quiet neighborhoods in natural settings. Downtown Orleans is bustling in the summer, while the quieter village of East Orleans offers quaint shops and eateries. More than 300 species of birds can be spotted in Orleans, and a day of deep sea fishing can be enjoyed aboard one of the vessels of the Rock Harbor Fleet. Shopping and fine dining, biking on the Cape Cod Rail Trail, and sunsets over Cape Cod Bay make Orleans a fine choice for vacation.